The TESCORP "LGB" SERIES is a completely self-contained compression system for Gas Boosting applications with elevated inlet gas pressures from the wellhead or separator for sales or flare gas recovery. 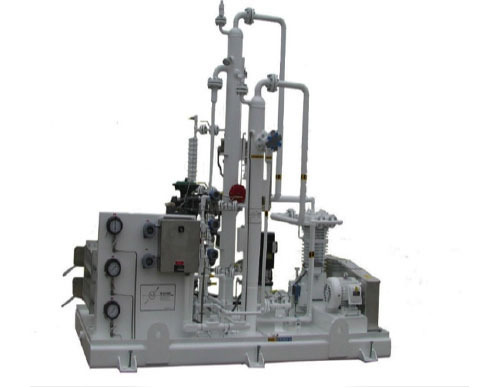 The unit is designed for moderate flows and medium to high pressure process gas applications.Constructed as a compact and fully self-contained system, it is manufactured with a LeRoi air-cooled, 1-, 2-, or 3-stage pressure lubricated gas compressor and TESCORP fully automated technology and components. The LGB Gas Booster Unit is designed and constructed for simplicity of installation and ease of operation for the critical demands of the harsh oil field environment.